A big part of my closet are basic pieces. And when it comes to basics, the little black dress or LBD is the king of them all thanks to it's versatility. I have three o them and I wear them all the time, specially when I'm on a hurry, because with only changing accessories and layers I can create multiple outfits that really don't look alike. 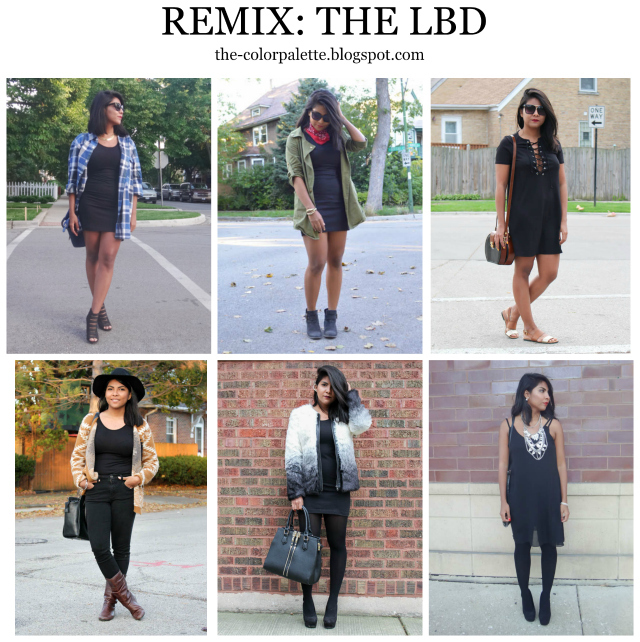 In the REMIX of today,the dress that I'm wearing in the first two columns is the same, but the outfits on the right are two different dresses, but the idea is the same, to give you multiple ideas on how to wear a LBD for every occasion. If you need more tips on how to wear your favorite Little black dress, check this post!